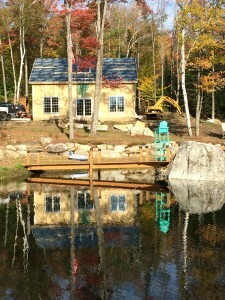 Here are some pictures of our Structural Insulated Panels installed over a timber frame in Northern, VT. This customer used our 6-1/2″ Walls SIPs (R24) and our 10-1/4″ Roof SIPs (R38) to create there envelope. Contact Foam Laminates of Vermont if you would like a free quote!